"Luigi's Mansion: Dark Moon," developed by Next Level Games (the studio behind “Punch-Out! !” for Wii, “Mario Strikers Charged”), is the sequel to 2001’s GameCube launch title, "Luigi's Mansion." Everybody's favorite green-clad plumber reluctantly returns to the spotlight after an evil entity shatters the Dark Moon, which was keeping the peaceful ghosts of Evershade Valley in check. The crazy and kooky Professor E. Gadd calls again for Luigi's aid, equipping him with the Poltergust 5000 (an upgrade from the previous titles’ Poltergust 3000), which allows him to stun, chase, and vacuum up the wicked and tricksy ghosts that are terrorizing the valley. Sadly, despite being longer than the original and involving a huge development timeframe, “Dark Moon” somehow lost some of the charm of the original, and is lacking in several key areas. Odd development choices keep the game from rising to its full potential. “Dark Moon” lacks the polished and pristine feel of most Nintendo titles. The money and treasure that you collect will often get stuck and float in midair, certain parts of the mansions will respond to the vacuum while others that look the same won’t, the game’s overall physics feel quite off at times, and possibly the worst offender: the graphics are borderline horrendous. For a game based on atmosphere and immersion, to have this level of detail go unattended to is a crime. Almost every texture* and polygon in the game is left ragged and unkempt, and it's a shame, as I had hoped that the game's visuals would have improved since I first saw it represented at E3 2011, and that's not the case. For a game that pretty much inspired the 3D visuals (the original title was almost made in 3D for the GameCube) it also suffers from an extreme amount of ghosting (no pun intended; it's the effect where even with the 3D on you see double of an image on its edges), and isn't anywhere near the best use of 3D we've seen on the system. And it isn't like Next Level Games, or Nintendo, didn't have the time. The game started development back in 2009, before the team even knew it would be a 3D title or the 3DS was even released. Four years of development should turn out a finer product than this. Gone is the more open-ended nature of the first game, replaced with a mission system for each of the game’s five different mansions, if you can call the other areas proper mansions. While this means that the player gets several different unique areas to play through, it also means that the game decides how to pace your exploration. Instead of fostering discovery this is handholding at its finest. The level system seems like a development choice made in an effort to make the game more handheld friendly, but one that really backfires. Certain areas will be inaccessible during certain missions, and the game becomes very linear. For a game that on one hand wants you to explore all its nooks and crannies, it’s a weird way to go about it. Professor E. Gadd also rarely leaves you alone for more than a few minutes, and if you go off the proper path he will either block you, continually tell you which way you should be going, or decides when to pull you out of a level, really hurting the game’s momentum. On top of that, most of the missions suffer from a formula that gets really stale really fast, and reeks of game-length padding. Fetch this gate piece! Chase this dog! And then fetch more gate pieces! And as soon as you get close to the area you need to be, some ghost will cause some trouble, and you'll spend several more missions sidetracking in an attempt to get to the main goal. The runaround gets predictable and annoying, and it makes you feel like you aren't ever really making any progress. If there was one more gate piece or chasing that damn ghost-dog quest, I would have screamed. Even poor Luigi gets disheartened with all the running around, and so should you. You can also use gyro controls (and in some places they are unwelcomingly forced upon you with little or no explanation), but gyro requires you to turn the 3D off, and is not a sufficient way to control the game. You'll end up having to learn how to use odd button combinations to aim how you want while using what you want, further asking the question of why the game didn’t either support the Circle Pad Pro, or why other control options weren’t included. The good news is that the circle pad feels great during Luigi’s actual battles with the ghosts, and provides a great amount of precision and feedback that really make the pull and tug of the ghost battles come alive. It's a shame the rest of the controls come at such a steep price. The game is bookended by its best parts: The first mansion feels right at home and the last few missions and bosses are among the game's best offerings (and ramp up difficulty quite fast). There's just a lot of filler you need to get through first. Some of the first game's charm and character is still here; Luigi still whistles the theme song when you leave him be for a few moments, there is a lot of humor (mostly ghost puns), and the game is at its best when it’s throwing clever puzzles at the player. But sadly, those are too few and far between. I spent limited time with the multiplayer mode before launch (There weren't many people online to play with, and you never know how smooth the game will fare online once it launches, but I already had problems connecting and entering games). Despite the game not really feeling like a good fit for a multiplayer mode, three different types of ScareScraper modes were included: In one you chase the dog Pulterpup, in another you search for ghosts, and in another you are up against a timer searching for the exit. You can change the difficulty and number of levels for each of these modes, but it’s still lacking simple things like in-game voice chat (other 3DS and even DS games have this feature, so there's no excuse). As much as having randomly generated areas is a cool idea, my short time with the multiplayer already had the game recycling level designs and areas for me to romp through. While the first “Luigi’s Mansion” was short but sweet, it hit one note and hit it very well. 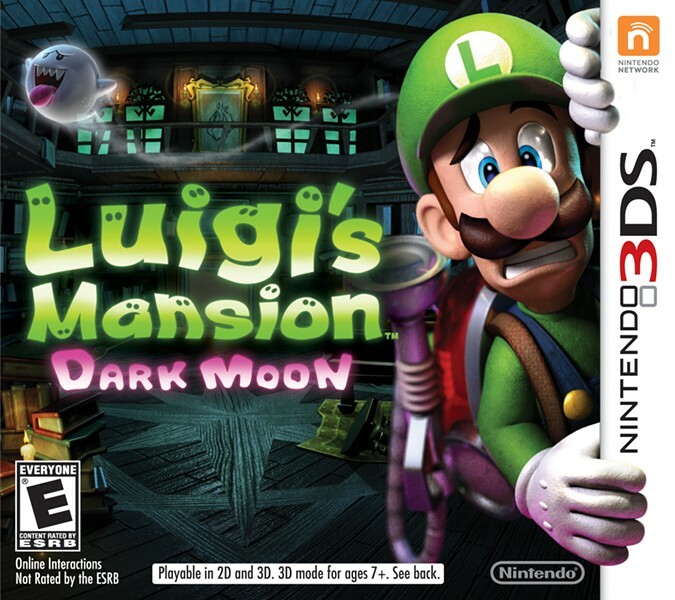 “Luigi’s Mansion: Dark Moon” suffers from a few problems that some people may look past, but the attempts to make the game bigger and better ultimately crippled the experience. He may be No. 2 to Mario, but Luigi’s third starring outing deserved better, especially after all its development time. 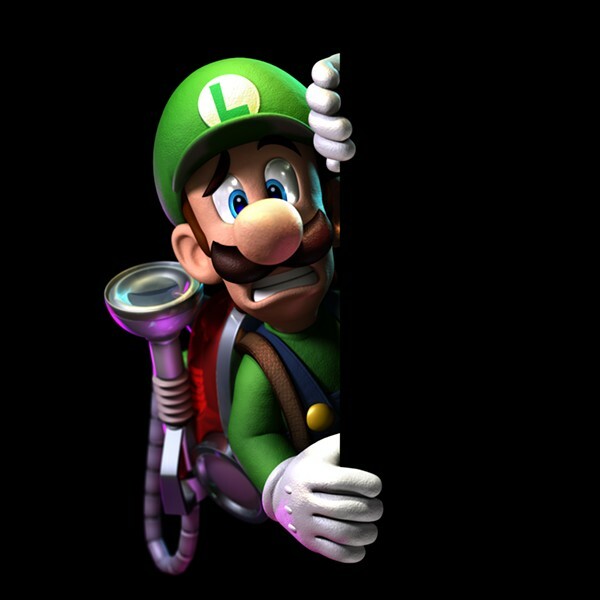 “Luigi’s Mansion: Dark Moon” releases in North America on Sunday, March 24 on the Nintendo 3DS. *Reviewer's Note: The game was played entirely on the 3DS XL system, which does cause certain games to look worse on the bigger screen since they are at the original 3DS’s resolution. Nintendo sent out a digital copy of the game, so I was unable to check it on the original 3DS system, but this is still one of the rougher-on-the-edges titles I’ve seen on the XL.